Less than 35 miles from the North Korea border, skiing is more than a sport. For some it's an act of defiance against North Korea. . In this working class neighborhood of Seoul. A woman uses her voice. To pierce through the border. They're among the 30,000 north Koreans who have defected to the south. Often risking their lives. Like this soldier who plowed through the check point and dashed off as a hail of bullets chased him down. Some are using what they say is the most powerful ammunition against a regime built on lies, the truth. So many of the North Korea defectors we talk to didn't want to show their face on camera because they're terrified of what the government might do to their families back home. This woman is willing to brave the risk. She anchors a nightly radio news broadcast in Seoul using an alias and every broadcast is a love letter to the ones she left behind. I like to think that my parents and brothers back home are listening to my voice and they are actually listening to it now. So they hear your voice. In North Korea they tell us not to listen to South Korea broadcast. When they here another defector came and living in a free country here, and how they live in DEM crassy they can change their own views. After there father was tortures she fled to China but was captured by North Korea guards. Both men and women are stripped completely naked and they search our body first. Body cavity search. I thought I was dead. I'm dead now. If you were wearing jeans they would rip it apart and if you were pregnant would beat the woman to cause a misscarriage. She was released and paid smugglers and tried again. But sold three times as a would-be bride in China. 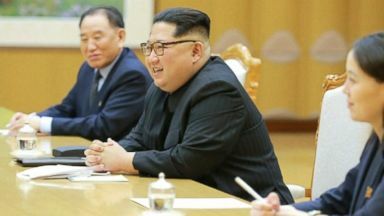 One of estimated 10,000 north Korea women the U.S. State department says could be caught up in this dark trade. Miss Hahn has also become a den mother of sorts to other defectors serving up dinner to these former North Korea soldiers led by commander Cheung Cho I. They're toasting an eventual turn return to the homeland they fled a country where two and every five suffer from mal nutrition. Many came because they couldn't stand the hunger. Here they shouldn't have to starve. Choi chaommands a pair a military group of defectors former North Korea soldiers plotting to bring down the rogue empire. Even conducting a mock execution of Kim Jong-un's father. On this day he is leading 20 defectors to the mountains for readiness training. If North Korea prepare for war believe they will do it in the winter. They believe their training gives them tactical advantage. Marching through tempts sometimes 20 below zero. Lessons from the Korean war. Many Americans and Koreans froze so they call the ski troop special forces. The ski troop is as much team building as it is military readiness. A moment airy reprieve for many who made the impossible choice to risk not only their own lives but their families for a chance at freedom. They took my brother out and executed him in retaliation. But the cruel loss of his brother he says inspired him to take up arms. When you go to your family you can say proudly that you didn't just live in the south to fill your bellies or for money. We cried for you, we fought for you. And yet you know better than most that your most powerful weapon is a urksb. That's true. They're sending the latest episodes of Korean soap operas to wild popular dance performances. Even Hollywood satire of Kim young un. Illegally transported forbidden information information transported across the Chinese border. They smuggle these in every three months. And other defector groups. If we could call North Korea or send a letter or e-mail we wouldn't do thisut there's no way you can. They sent thousands of giant balloons to be picked up by every day north Koreans living in a dictatorship. Why is the truth so destabilizing to North Korea. What liars fear most is the truth. And he makes himself higher than gods you destroy that the dictator nation will be pulled down. His home country considers 24 such a threat that North Korea spies have been sent to assassinate him at least twice. What's it like to be constantly surrounded by a threat. It's exhausting but someone has to do it. The defectors who do it consider it a mission. The worry for our family and the pain is always in our hearts. Her mission is to help families become whole again through art and family therapy classes. She defected ten years ago and knows firsthand women are more likely to defect but are especially vulnerable. Our organization has 7,000 members. About 5% of them come with family. The rest are mostly human trafficked in China and sold. This woman recently reunited with her family. Her family. Even after reaching safety, the emotional scars leaving many having to learn basic freedoms, like expressing emotions. They don't know how to express their own feelings because they are monitored in North Korea. There's literally thought police. Yes they're very afraid of expressing themselves. At the class we met miss yank who crossed the border in 2015 the lies of her home country. I thought that I could live safely here with my belly full. But it's only the people who have experienced Kim Jong-un's system who can let people know how abnormal it is. So your truth and bearing witness is a weapon against the Kim Jong-un regime? Yes. A hard-fought battle to win what so many of us would consider ordinary. 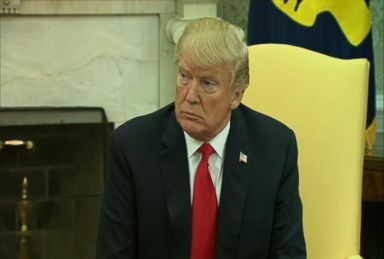 President Trump responded to South Korea's claim that the North is prepared to negotiate with the U.S. in a possible breakthrough in the nuclear standoff. 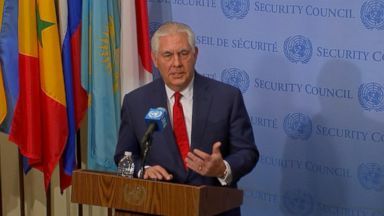 The U.S. secretary of state said, "The president's policy on North Korea is quite clear."